Do you like turtles? Do you remember how they look like? This turtle will change your knowledge! 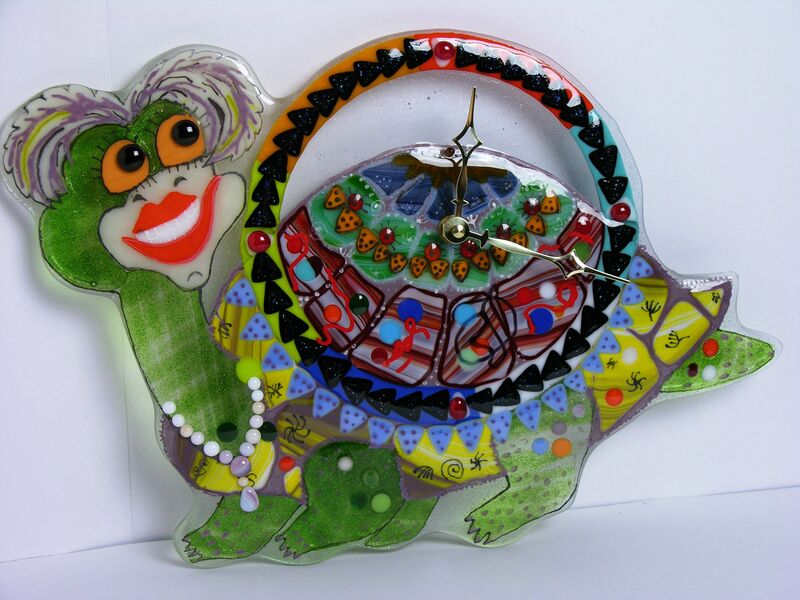 It's a funny turtle with a clock dial above. You may imagine the Earth instead of deal. But the Turtle is happy of carrying this heavy load and she smiles So you may kiss her. The Turtle is made from a glass using a variety of techniques: initially pre-cut body parts were fused together; then we added various spotlights - colored dots, lines, sparkling elements; lastly contours were outlined with glass frit and fused once again.